Generic brands of injectable naloxone vials are offered by a variety of companies that are listed in the FDA Orange Book under "naloxone" (look for "injectable"). Note: There has been widespread use of improvised emergency kits that combine an injectable formulation of naloxone with an atomizer that can deliver naloxone intranasally. Use of this product requires the user to be trained on proper assembly and administration. These improvised intranasal devices may not deliver naloxone levels equivalent to FDA-approved products. In fact, the manufacturer of an internasal atomizer device issued a voluntary recall on 10/27/16 noting that some of the devices “may not deliver a fully atomized plume of medication, making the drug potentially less effective.” An approved, prefilled nasal spray is now available (see below). EVZIO® is a prefilled auto-injection device that makes it easy for families or emergency personnel to inject naloxone quickly into the outer thigh. Once activated, the device provides verbal instruction to the user describing how to deliver the medication, similar to automated defibrillators. NARCAN® Nasal Spray is a prefilled, needle-free device that requires no assembly and is sprayed into one nostril while patients lay on their back. Note: Both NARCAN® Nasal Spray and EVZIO® are packaged in a carton containing two doses to allow for repeat dosing if needed. They are relatively easy to use and suitable for home use in emergency situations. Who can give naloxone to someone who has overdosed? The liquid for injection is commonly used by paramedics, emergency room doctors, and other specially trained first responders. To facilitate ease of use, NARCAN® Nasal Spray is now available, which allows for naloxone to be sprayed into the nose. While improvised atomizers have been used in the past to convert syringes for use as nasal spray, these may not deliver the appropriate dose. Depending on the state you live in, friends, family members, and others in the community may give the auto-injector and nasal spray formulation of naloxone to someone who has overdosed. 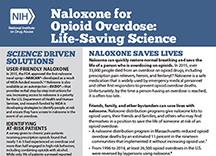 Some states require a physician to prescribe naloxone; in other states, pharmacies may distribute naloxone in an outpatient setting without bringing in a prescription from a physician. 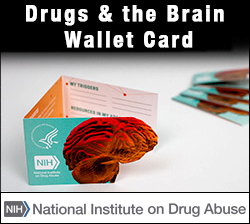 To learn about the laws regarding naloxone in your state, see the Prescription Drug Abuse Policy System website. What dose can be provided? The dose varies depending on the formulation, and sometimes more than one dose is needed to help the person start breathing again. Anyone who may have to use naloxone should carefully read the package insert that comes with the product. You can find copies of the package insert for EVZIO® and NARCAN® Nasal Spray on the FDA website. People who are given naloxone should be observed constantly until emergency care arrives and for at least 2 hours by medical personnel after the last dose of naloxone to make sure breathing does not slow or stop. Naloxone is an extremely safe medication that only has a noticeable effect in people with opioids in their systems. 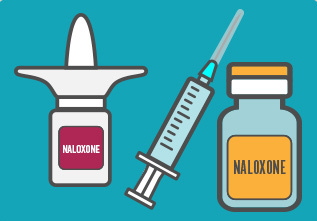 Naloxone can (but does not always) cause withdrawal symptoms which may be uncomfortable, but are not life-threatening; on the other hand, opioid overdose is extremely life-threatening. Withdrawal symptoms may include headache, changes in blood pressure, rapid heart rate, sweating, nausea, vomiting, and tremors. The cost varies depending on where and how you get it. Patients with insurance should check with their insurance company to see what their co-pay is for EVZIO® or NARCAN® Nasal Spray. Patients without insurance can check on the retail costs with their local pharmacies. Kaleo, the maker of EVZIO®, has a cost assistance program for patients with financial difficulties and no insurance. Naloxone finder - This website also offers access to training for first responders and potential bystanders.